The holiday season is a time to touch those people who have touched your life in some way. It’s when relationships come to a more personal level, and grace and giving are shared all around. 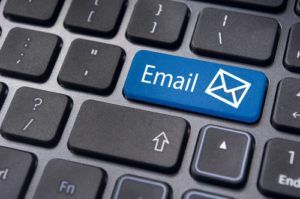 This concept is no different for businesses than it is for family and friends, and if you go about it correctly, your contractor email marketing campaign can skyrocket during this season of caring. As you complete projects and build relationships with your clients, ask them to send pictures of their halls when they’re all decked out. A holiday-ready home that you’ve worked on will make an excellent addition to your holiday email greeting. Make sure you gain permission from the homeowners before posting your chosen photos. Depending on the project, you could also include before and after photos that your other clients may relate to. It’s great to talk about your company’s accomplishments and the opportunities you can offer prospective clients; after all, this is a marketing campaign. Bear in mind, however, that boastful content should be kept to a minimum. Rather, take this opportunity to share tips, tricks, and general advice with your readers. Include tips that are related to the home, such as preventing ice dams, or ways to ensure the most energy efficiency is achieved during the chilly winter months. Make sure you also put some fun items into the mix, as well. Tips about proper party planning can put your email at the top of the inbox in a cinch. Utilize this opportunity to spread goodwill and offer special deals on soon-to-be-needed services. Rather than living in the moment, be proactive with your approach by gently reminding your customers that they’ll soon be in need of spring services, and offer discounts to those who book early with a code you’ll include in this holiday contractor email marketing blast. A higher percentage off the earlier they book will set your customers on schedule for a happy new year while ensuring your appointments stay steady. Give them peace of mind with an offer to join your service club at a rate they can’t pass up. What type of content do you find gets the best response in your holiday contractor email marketing campaign?